The name Swagtron has a class in itself. With the production of so varied models, we have brought to you the reviews of one of the most sought after Swagtron T1 model which are phenomenal in every way. These are the UL certified hoverboards, no doubts, and come with all the great features which anyone would aspire for. To tell you the truth, Swagtron T1 scooters are among the top ten scooters of 2018 and have already been the champion of millions of riders. Now if that makes you curious about what features it holds, you need to come on a small journey with us, and unravel the beautiful characteristics of this Swagtron model. This is not what we say; this is something which most of the riders out there are saying who simply love this hoverboard. The style is unique and the moment you glide past the people, they are bound to stare at you and your amazing board. The LED headlights are fashionable; there is a battery indicator as well. This makes it easy for you to know when you really need to charge your board. In the 2015s and 2016s the news about massive fires caused by the hoverboards created a fear in the heart and minds of the riders. This was because the then manufactured boards were not certified and tested and the Chinese companies which manufactured the parts did not pay attention to the safety standards. The hoverboards that you get today are certified by the UL 2272 standards and so are the Swagtron T1 models. There is no question of fire accidents and sparkling. You do not have to worry about your batteries overheating or internal issues and you get rubber bumpers for protection. There is 100% safety guaranteed. Now here comes the quality of these scooters. These come with an upgraded 250 Watt motor and gear stabilization which gives tighter control and downhill traction. You can get the Patented SWAGTRON SentryShield smart battery management system which provides multi layered hover skate-board protection for you and your loved ones. When you have gone through the safety standards you will probably search for a speeding electric scooter. These scooters offer a great speed and reliability. You can move about freely almost everywhere. It is also among the fastest hoverboards in the market with a top speed of 8 miles per hour. If speed is what you love, then it won’t take much time for you to fall in love with the Swagtron T1. An incredible distance of 12 miles can be covered by this hoverboard in a fully charged battery. That means if you even plan a long ride with your best friend and go about endlessly, this hoverboard can fulfil your requirements. You no more need to stand on the road side with a discharged electric scooter even on long rides. This is the most feature of this hoverboard. It takes just 1 hour for it charge fully. Most of the hoverboards usually take upto 3 hours but these are much faster as compared to others. These hoverboards come in two different riding modes which you are free to adjust as per your needs. You may either switch it to the learning mode or to the standard mode. These are differentiable in terms of ride complexity. If you are riding in learning mode, you will have enhanced features making your ride swift and smooth. In the standard mode, the scooter knows that you are well acquainted with such scooters and can balance out yourself. Since it is a huge brand, the products come in multifarious colours and you can choose your favourite colour for yourself. I personally would prefer the charismatic red coloured Swagtron T1 because it looks really hot. You have other choices like royal blue, black and yellow. All of them have a significance of their own. They are shiny, well built and attractive in every way. You will love it, we can say for sure. The weight it is capable of carrying is what most of the standard hoverboards can. With 220 pounds of maximum weight capacity, it is good for all age groups including kids and adults. You just need to be less than 220 pounds to make your hoverboard last longer. Most of the customer’s review we have obtained so far is in favour of these electric scooters with an average rate of 4 out of 5. The reviews are positive and overall satisfactory. The riders are happy to get such a quality and branded product at such affordable price. The battery is good and lasts long and takes very less time to charge. The look is gracious and most of them ride it both indoors and outside. So how much does the Swagtron T1 hoverboards cost on an average? These boards can be easily purchased from the top websites or local markets in as low as $300. So, getting a Swagtron product with well built and exciting features is always a great deal. 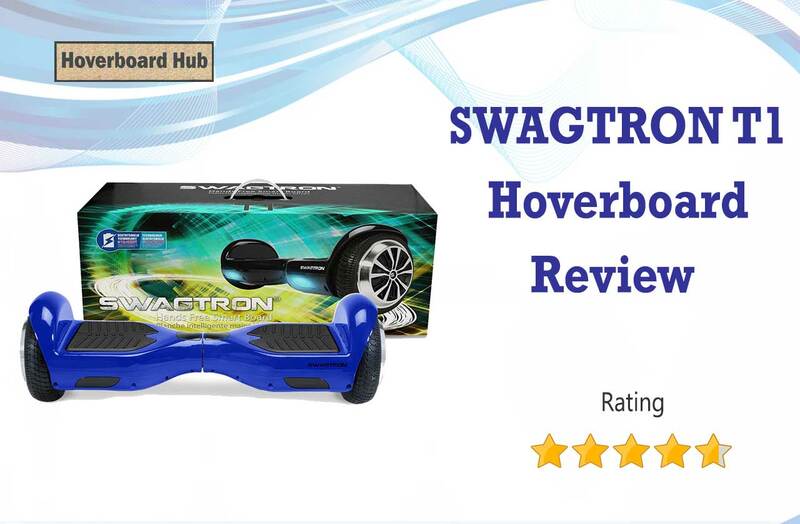 The overall response for Swagtron T1 has been amazing and it is one of the top class hoverboards in the market. It won’t ever let you down in terms of safety and quality. You can have a great speed and go on for long without refilling. Moreover, it takes just a couple of minutes to charge it. In the price range it falls, it is a great buy. Happy Riding!